What is a Food Web? 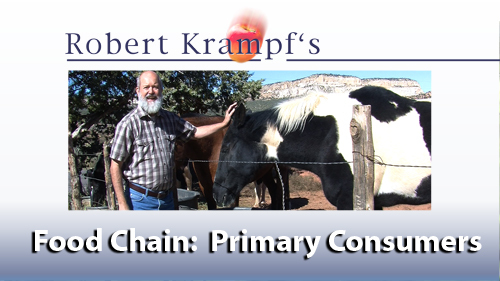 A food web is a way of seeing how energy is transferred from organism to organism. All living things need energy. They use it to move, to grow, to reproduce. That energy has to come from someplace. Drawing a food web is a great way to get an idea of how that energy is captured by producers, and passed from organism to organism. It helps us see that even things that we usually don't like, such as weeds and mosquitos, play an important role in the ecosystem. 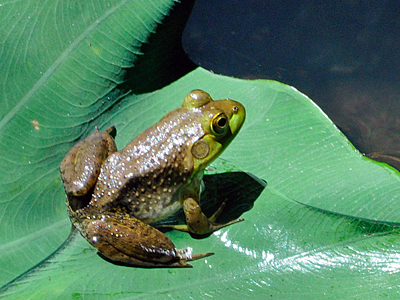 Read more about What is a Food Web? This week's experiment is another that I did as a child. 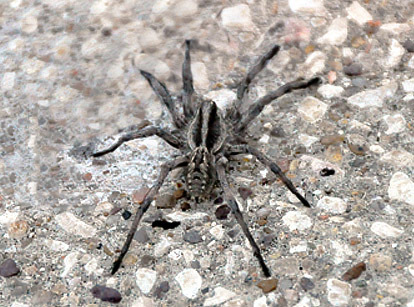 I must warn you that if you are afraid of spiders, you may not want to try this experiment. If you do, you may never leave the house again. 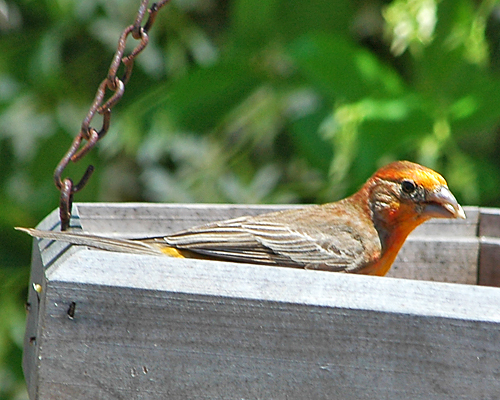 Read more about Yellow Purple Finch? After the Blue Heron drive, I headed towards Merritt Island, planning to take the Black Point Drive. When I got there, they were paving the road, so I went to the BioLab road instead. Heading north on Hwy 3, you will see a sign for the BioLab. Take that road and watch on the right for BioLab road. It is a narrow, gravel road that winds along the water's edge, giving you brackish water on one side, and fresh water marsh on the other. The day started out wonderfully. I presented my Energy program at a summer camp for homeless students in South Florida. They were a marvelous group, and I had a blast. On my way home, I took some time out for some nature photography. 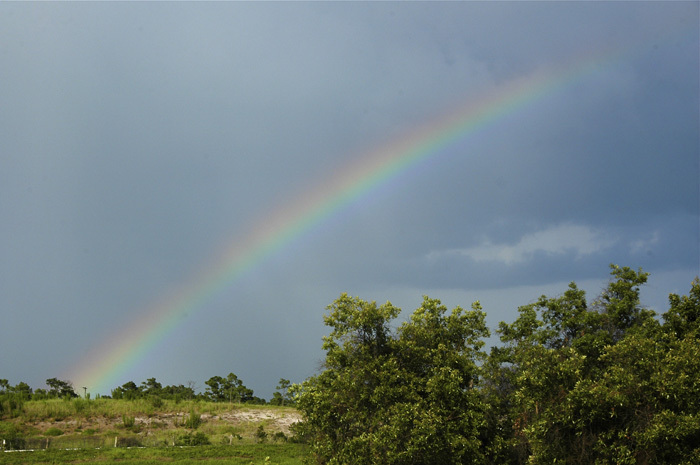 There were scattered showers along the way, which gave me some nice lightning to watch, as well as a beautiful rainbow. 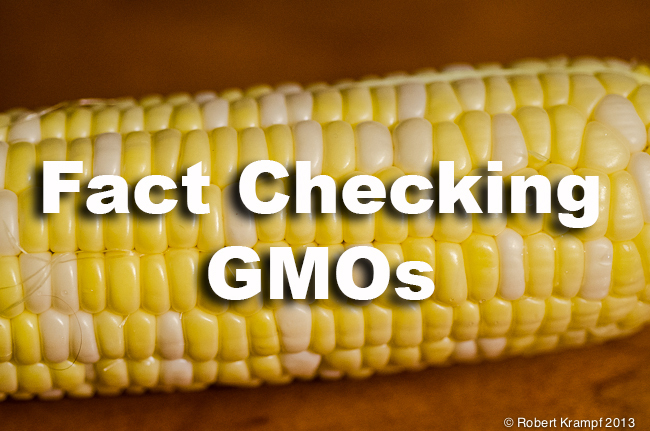 This is not an article about the pros and cons of genetically modified organisms. I am not arguing for them or against them. Instead, the goal of this article is to help you learn some of the basic science involved, to make it easier for you to fact check articles on this topic. 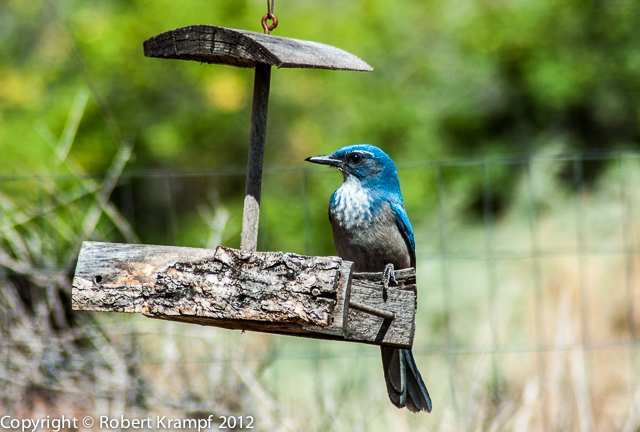 Scrub jay at our feeder. I got the idea for this experiment while watching the sand hill cranes feeding in the fields around Hastings, Nebraska. 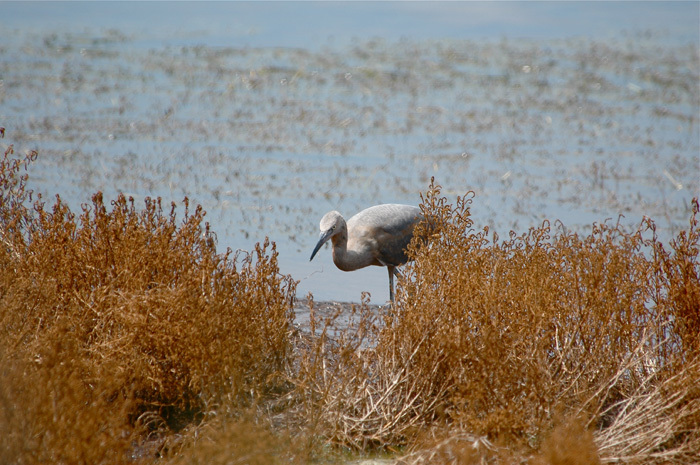 To most people, bird watching means trying to identify different kinds of birds. Really, that is bird spotting. Bird watching means finding a bird and watching it, to see what it is doing. 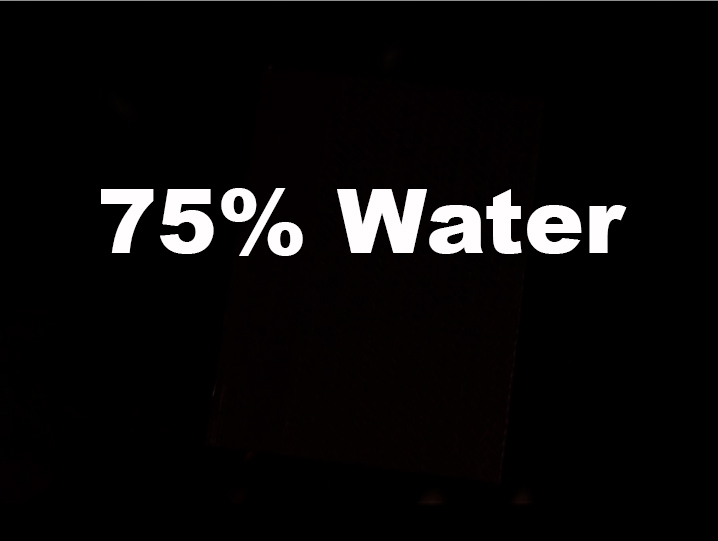 When you read that 75% of the Earth's surface is covered by water, what does it really mean? The answer goes far beyond just a simple fact. As with many topics in science, the deeper you go, the more you find. 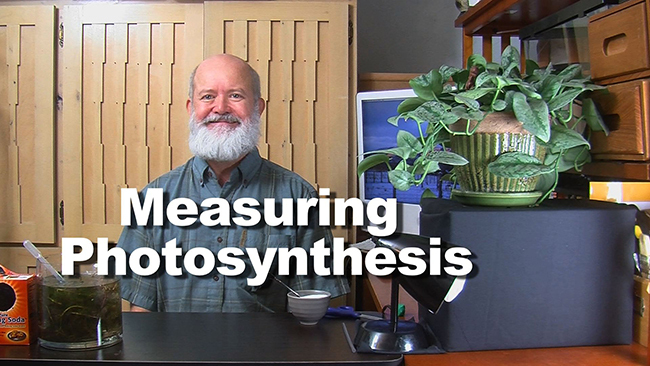 This is an easy way to measure the relationship between the amount of light and the rate of photosynthesis.